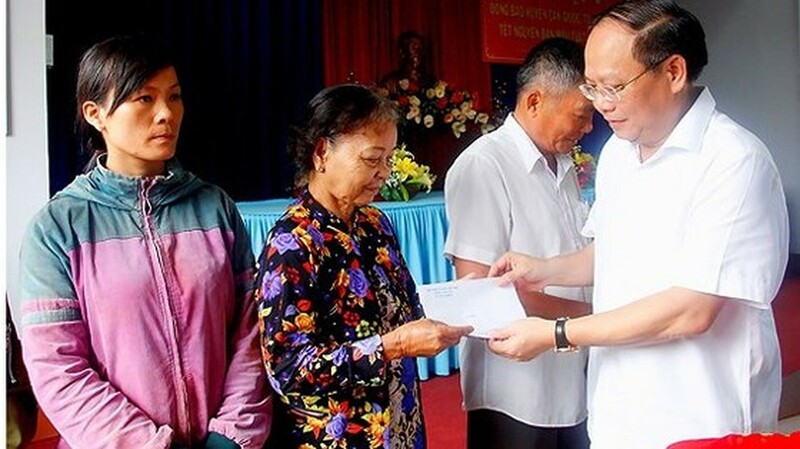 HCMC efficiently conducted welfare policies and thoughtfully took care of the material and spiritual life of the poor, disadvantageous children and those under state preferential treatment policies during the Tet holiday with funds nearing VND1,390 billion (US$61.18 million). 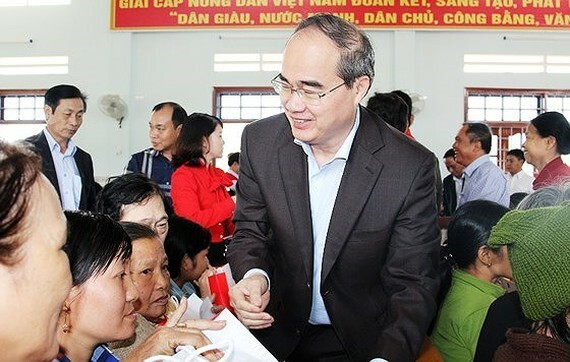 Reporting at a meeting to review Tet care operations yesterday, standing deputy chairman of HCMC People’s Committee Le Thanh Liem said that the funds increased over VND80 billion compared to the previous Tet holiday. In addition, city leaders asked relevant agencies to keep an eye on wage and bonus payment to workers and grasp workers' life situation. Thanks to that, they had solved strikes and collective labor disputes in order not to affect production and trading operations and security. According to Mr. Liem, HCMC has well implemented market management work; ensured abundant goods supply, stable price, goods quality, food safety and hygiene and sufficient cash to meet Tet payment demand. Statistics show that total revenue at trading systems neared VND18,680 billion, up VND2,465 billion over the previous Tet. Tet purchasing power was up 10-15 percent, of these supermarkets and convenient stores up 20-30 percent. Subsidized goods revenue reached VND7,570 billion, up VND1,060 billion. 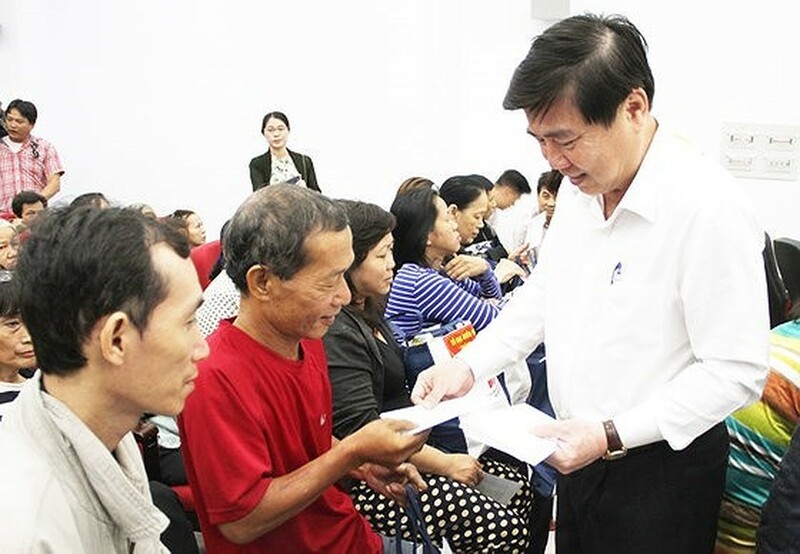 HCMC has sufficiently implemented Tet care policies to the poor and persons with meritorious service to the country during the holiday with the positive respond from businesses, organizations and individuals. The city organized 50 delegations to visit and extend Tet congratulations to former Party and State leaders, veterans, Vietnamese heroic mothers, religious dignitaries, leaders of the city's Chinese working committee, disadvantageous ethnic minorities, armed forces, hospitals, drug detox centers, social welfare establishments, waste collection and treatment units, electricity and water supply firms. Many practical programs had been organized to assist solider, workers, students, poor children and the disable to celebrate the Tet holiday. Head of HCMC Party Committee’s Propaganda and Education Board Than Thi Thu said that city residents celebrated the Lunar New Year in a happy and warm atmosphere. Standing deputy secretary of HCMC Party Committee Tat Thanh Cang said that Tet care was thoughtful and practical this year, paying more attention to the material and spiritual life of residents. Despite strongly surging vehicles near the Tet, traffic order was ensured, ‘hot spots’ were solved in a timely manner with the great effort by traffic police force in coordination with relevant sides. Tet care operation was successful in all aspects thanks to the good coordination and preparation among relevant agencies and close guidance from city leaders, Mr. Cang said. Stating at the meeting, HCMC Party Chief Nguyen Thien Nhan appreciated efforts by agencies in implementing Tet care missions. 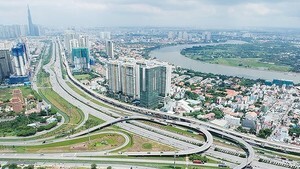 The tight coordination between party committees, city government and all level Vietnam Fatherland Front committee created high social efficiency. He noted that relevant sides should set up Tet care plans more carefully in following years, pay attention to activities meant for traditional education and renew Tet care methods to make the operation more practical.